Troubleshooting naps could be a ten part series. I’ll do my best to cover the most common issues that plague naps for every age. Before we go any further, please take a look at this blog post that discusses how to know how many naps your child should have by age. Short naps – There is no more common nap issue than short naps. Over 85% of the clients I work with struggle with short naps at some time or another, and many of them struggle through short naps for weeks or months before seeing improvement. For babies 7 months of age and younger, short naps are the norm, not the exception, and should be expected to occur regularly through month 7. It appears that in most younger infants the brain is not capable of linking sleep cycles consistently during the day, thus resulting in short naps. Adding a fourth nap (for babies 4-7 months) typically only results in increased night waking as the brain is then falling asleep too many times during the day to sleep soundly at night. Also, parents often find that it is impossible for their child to fall asleep four times in a day and spend one of their naps crying instead of sleeping. If you choose to sleep train your child and they are short napping, it’s best to keep them at the appropriate number of naps per age and look towards when they can transition from 3 naps to 2. Short naps almost always resolve once a child is over 7 months of age, able to fall asleep completely unassisted, and once the child is only allowed to nap twice per day. Once these milestones are reached, daytime sleep typically consolidates and naps become longer, but the process can take about 2+ weeks. Nap interruptions – If your child is woken up by a dog or sibling, it’s best to give them 10-15 minutes to fall back to sleep on their own without your intervention (assuming they already know how to fall asleep on their own at naps and bedtime). If they are unable to get themselves back to sleep, get them up and do everything you can to keep them awake until their next scheduled nap. This may be challenging, but it will be more challenging to have all naps occur earlier that day, and then end up with a very lengthy gap between the end of the last nap and bedtime. Adding an additional nap will very likely affect your child’s ability to sleep soundly through the night (as the brain struggles to sleep well overnight when it’s fallen asleep too many times during the day). There is no need to enter into the room and “help” them fall back asleep, unless your child is not already sleep trained, in which case assisting them in falling back asleep would make sense. If your child is not able to fall asleep totally unassisted, it is likely you’re facing other sleep issues that can all be resolved with sleep training (aka your child learning how to fall asleep on their own). Protested/skipped naps – This is another somewhat common issue, though much less common than short naps. If you find your child is regularly skipping naps, it’s likely they’re ready to transition from 3 naps to 2, or from 2 naps to 1. If your child is simply protesting falling asleep, but they do eventually fall asleep, you may find that they need their naps to begin later. Try to push all of their naps forward by 15 minutes, but wake them up around the same time they currently wake from naps. For example, if your child takes naps at 8:30 am/11:30 am/3:00 pm, and they’re normally awake from nap one by 9:45 am, but they’re also fighting falling asleep at 8:30 am, move nap 1 to 8:45 am, but don’t let them sleep past 9:45 am. Then, make sure their next nap starts at 11:45 am instead of 11:30 am. The idea is putting them down later but having them up at the same time so that they’re having more time awake and less time asleep for naps throughout the day. Limit naps to 2 hours – Unless your child is taking only one nap per day, limit their naps to no more than 2 hours for any single nap. Also, generally speaking from age 4 months to when they go down to a single daily nap, nap sleep should range from 2-3.5 total hours of sleep per day. If you find your child is still napping at the two hour mark, wake them up. Allowing them to sleep longer than 2 hours at a stretch (unless they’re down to a single nap) is likely to cause nighttime sleep disruptions. If your child is down to one nap, capping that nap at about 3 hours is usually a good idea. If you find your child is having nap issues outside of the ones outlined in this blog post, please post your situation in the comments below so I can continue further update this blog post. How about nap training a 10.5 month old who has yet to fall asleep on his own. He’s sleep trained at night since he was 7 months old and sleeps 7-7 with no waking most nights, but to get there I nurse-napped him on my lap to make sure he wasn’t over tired at bedtime. He never slept deeply enough to transfer, so I held him the whole time. I started nap training 4 days ago and he protests through every nap. He has taken a few 15-20 minute naps in the car when we have had to go somewhere, but that’s it. I know this can take a while… but is there any hope? I worry I waited too long and now it’s impossible. His schedule is up at 7, down for nap at 10 and 2, bed at 7. I have a 15month old who is sleep trained. His bedtime is from 7pm – 6/6:30am. He is on 2 naps: morning nap start around 9:45-10am and naps anywhere from 45mins-1hr; second nap starts 2:30ish which he will protest and then end up sleeping for up to 1 hour. But this second nap is the big issue! Yesterday for example he went to his second nap at 2:40pm, and woke up at 3:40pm. He initially woke up and was clapping and then he started crying. I went in like probably 1-2 mins after and he just kept crying hysterically resisting me to pick him up (but if I didn’t he would fall and hit his head). I try to distract him with other things and he just flails around in my arms, I then just set him on the ground and he just cries as if he is soooo angry and is just trashing around kicking and crying. He throws his bottle of milk and eventually later takes it and will calm him down.. This has been happening at every single 2nd nap when he wakes up. I don’t know if I should just leave him in the crib until he stops crying but im afraid he might just get more angry? or if this is just a phase or am I going to him too quickly? is there such a thing as a night terror but at naptime?? he wakes up happy after bedtime and morning nap! just this second nap is the most draining once he wakes. Hi Jo! You should definitely check out my blog post on the 2 to 1 nap transition. 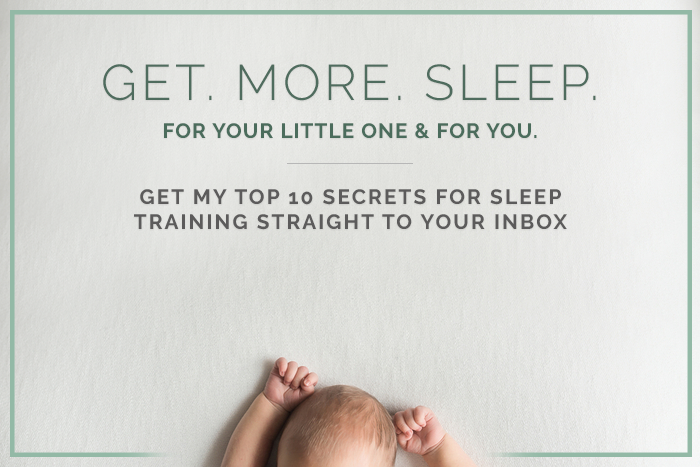 Also, I do Lives twice a month on my Facebook page: http://www.facebook.com/babysleeptrainer where I answer questions just like this – come and join in! I’ve just started sleep training my 4 month old. She’s doing great at night and falls asleep unassisted for naps but only sleeps for 30 mins on the dot. This makes for veeeery long wake times between naps. Stick with the three naps even though her wake times are too long for her age? Thanks Natalie! I have a 19 weeks (almost 5 months) old baby who naps between 8:30-9am, 12 noon, and 3pm, in bed by 7pm. Following the 2hr max and last nap to conclude no later than 4pm , how would that work for the 3rd nap if she were to sleep from 12-2pm? I am afraid there is not enough time to put her down for another nap, but concerned that she may not also make it to 7pm without being overly tired/fussy. Any advice? Thanks Natalie! HELP! We came back from vacation a week and a half ago, and since coming back my 20 month old JUST WON’T NAP! My husband and I shared a room with her (she was in crib) while on vacation. Furthermore, my husband and 20 month old would often sleep in the same bed (i.e. bed share) just for naps. I’m thinking it’s the room and bed sharing that has led to her becoming very difficult to put down at naps. I’m basically letting her cry it out, while checking in here and there. But often, she’ll go an entire hour just crying and end up not napping. Is there anything else I could do? Hi!! The checks may be what’s stopping things up. Try putting her down, leaving the room, giving her the amount of time you did in the training program, then returning to the room and trying again in 30 mins if she doesn’t fall asleep. Do this 2-3 times in a row, and make sure to check in on her immediately if you think something is wrong. Don’t do this without a video monitor so you can watch her closely the whole time! Hi Natalie! My 9 month old used to be a champion sleeper – napping twice a day around 9 and 2 for an hour and a half to two hours. Bed at 7:30 and sleeping until around 6:30. About two weeks ago something happened and his sleep took a nose dive. He started waking at night for an hour or two at 1 or 2am and taking short naps. We’ve gotten night sleep back but naps are still only 45 min and he wakes up so fussy, I know he needs more sleep. He falls asleep well still unassisted but obviously tired. Could it be just a regression that will sort itself out? I miss my happy baby! Hi Amy! I would first try moving nap 2 back to 2:30pm and see if that helps. Also, if you feel baby is safe, I would try giving him some time (when he wakes at the 45 min mark) to try falling back asleep. Some kiddos need 10-30 minutes to start snoozing again. Hi Natalie! we are having difficulty with our 9 month baby’s short naps;after following your sleep training tips, he is able to fall asleep on his own and sleeps 9-10 hours at night (not 12hrs but still yay!) However he wakes up at 5.30am and only does two 30-40min naps until his 7.30pm/8pm bedtim. We have him on a 9/10am and 1/2pm naptimes for a week or so but no improvement! Should he be doing three naps? What time should his naps be? and how do i get him to take longer naps! Can we assist him in extending his naps by picking him up to rock when he wakes at the 30min mark?